Log back into the Smoothwall GUI and you will now see Firewall > Firewall Control interface. *This tutorial assumes that you already have Smoothwall Express 3.1 installed on your hardware of choice. 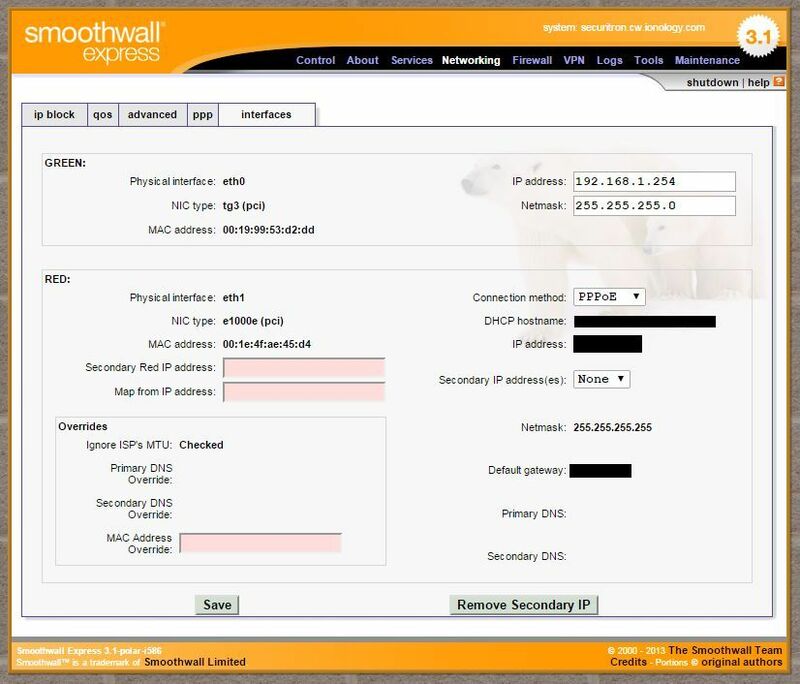 With BT Infinity becoming evermore available we decided to setup and test smoothwall as our Firewall of choice. After quite a bit of head scratching we were able to get things up and running. Here we enter a Profile name, BT username and password and the authentication method. Above is an example of the settings we used for our BT Infinity test line. Now navigate to Control > Home and click connect. If everything has been entered correctly you should have a Firewall protected BT Infinity line. Enjoy. Firewall > Outgoing > Make sure 80, 443 etc. are open so you can access the outside world from behind the Firewall. The issue I now had was giving our network a static IP address instead of Dynamic. This was to allow another host to allow a static IP through their Firewall. The workaround for this was to assign an External (red) IP address to an Internal (Green) IP address. BT will provide 5 extra static IPs for £5 per month.